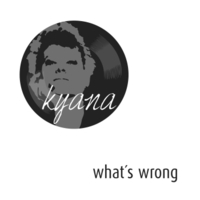 Kyana’s compositions and arrangements are based on strong pop structures. Listeners get excited by sophisticated musical details but also relax in straight, well-known structures. Her songs mostly emphasize rhythm with elements of Funk, DnB and Latin. The song structures vary in her tunes with more instrumental sequences, vocal centered songs as well as in storytelling ballads. The variation of Kyana’s voice leading of instruments creates impressive arrangements and powerful sounds.